Whether you select solid wood or laminate, the cabinets you choose will be an important factor in the look and function of your kitchen remodel. New kitchen cabinets will likely be your biggest expenditure and will also determine the tone and functionality of your renovated space. A professional can help you sort through the many different types. You’ll want to compare wood and laminate finishes and shop for smart storage and organization solutions, such as pull-out spice racks, hideaway bins, and pop-up shelves that mimic a jack-in-the-box to let you access or hide counter appliances. 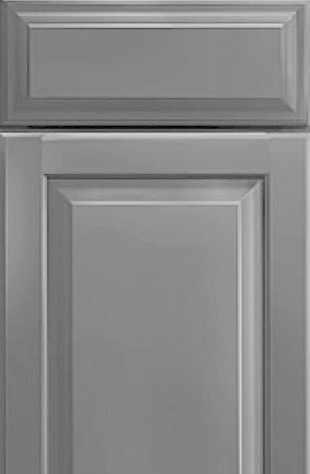 Related: Kitchen Cabinet Door Styles: What’s Yours? As a whole, cabinetry trends lean toward simplicity and an uncluttered look. Bulky, ornate cabinets are being replaced by streamlined options. Slimming features include integrated handles, sliding doors, open low cabinets, floating islands, sleek materials, and simple Shaker or frameless styles. To save money, buy stock cabinets in standard sizes or consider a trip to nonprofits like Habitat for Humanity ReStore (nationwide) or Green Demolitions (Connecticut, New Jersey, and Pennsylvania) to purchase donated or salvaged cabinetry from demolition projects at a fraction of their original cost. For super savings, update your existing cabinetry with a fresh coat of paint and new hardware. If you have recessed panel doors, consider covering the center with bead board or replacing it with reeded, textured, or etched glass. Or go a step further to replace one or more wall-hung cabinets with open shelving to create a light, airy feel. Cabinet Design Styles: What’s Yours?